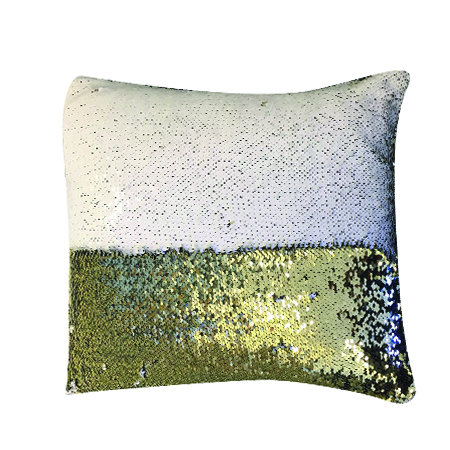 A mermaid pillow is a magical pillow that has reversible sequins over it. It magically changes color when you stroke it with your hand. 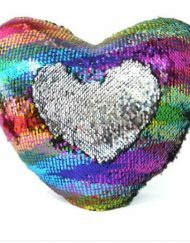 You see this magical effect because the sequins have different colors on both the sides and this gives the pillows a fantastic look when you run your fingers over the fabric and notice that the color changes. You will be able to create your own design and all you have to do is to stroke your hand. Now, you can have designs according to your mood. This is a perfect pillow for ages. 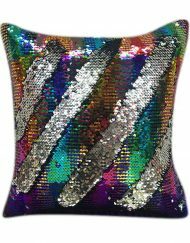 Mermaid pillows have undoubtedly become the hottest trend in the field of home décor. 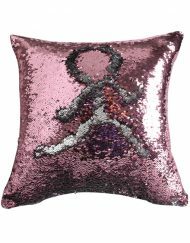 They can prove to be an excellent gift for someone special and can help them add a special touch to their home décor. You can give a makeover to your room with the help of mermaid pillows. As a matter of fact, you would not have to spend much money for this. Some of the ways in which you can use these pillows to give a different look to your room have given below. You would require some odd number of pillows to get this look. Three to five pillows will serve the purpose well. Make sure you avoid pair of pillows as it will give a traditional look to your room. It will be better to use bigger size pillows instead of the smaller ones. Small pillows might get jumbles and thus, might ruin the effect. The perfect size of the pillows should be from 18-24 inches. They should be large enough to showcase the color of it. Instead of making the mermaid pillows have a solid color scheme, you should draw some patterns over it. Nonetheless, pattern as well as solid goes quite well with the modern look. Make sure that you do to use too many colors. 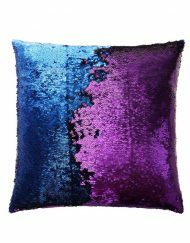 If you are trying to give an eclectic look to your room, you should again avoid going for mermaid pillows in pairs. Eclectic means asymmetrical look and thus, you should use 3-5 pillows. Yu need to make sure that there are not too many of them as excess pillows might give it a cluttered look. The idea is to make it look like it has been placed randomly. The pillows that you choose should be of the same size. Large pillows work well in these cases. You can opt for different color combination keeping one color common between them. In case, you want to give a traditional look to your room, you need to get the mermaid pillows in pairs. The pillows need to be large. The idea is to ensure a sense of order and this is the reason you should place pillows on each side of the sofa. The look should be symmetrical. As far as the size of the pillow is concerned, it is determined by the size of the sofa. It should be of proper size in order to give the room a pleasant look. 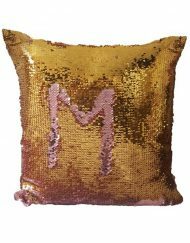 Go for colored mermaid pillows as it will help you to keep things lively.